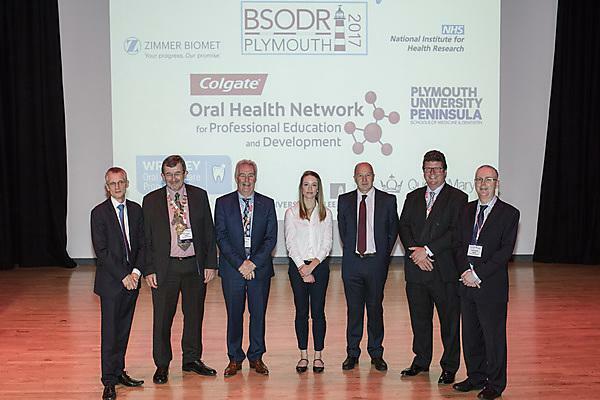 The British Society for Oral and Dental Research, hosted by the University of Plymouth in early September, has been deemed a success and an excellent showcase of the latest in dental research. Around 225 delegates attended the conference, where presented research ranged from dentistry in the community to ‘smart fillings’, new and potential lab-based therapies, nanotechnology, diet and behaviour and dental professionalism. (£500 to the presenter; £5000 travel bursary to the prize-winner’s Department which may be used towards expenses for a postgraduate student to spend time in a research centre of excellence in the UK or abroad). (£300 to presenter; £3,000 to prize-winner’s department to support undergraduate research in the coming year). As well as the business of the conference, delegates also enjoyed a welcome reception held at the National Marine Aquarium and a gala dinner held in the Officers’ Mess at Royal Marine Stonehouse Barracks, where attendees were treated to a drumming display by the Royal Marine Cadet Volunteers. The International Association for Dental Research will take place in London 25-28 July 2018.